Moving in bad weather is no one's idea of a good time. But when live leads you to a big move, you can't exactly control what the weather gets up to. Normally around this time of year, movers share friendly warnings about not slipping on ice and keeping your carpets safe from snowy slush. Naturally, here in Florida snow isn't our problem. But that doesn't mean it won't be raining when you move. Florida is well-known for hurricanes and the occasional seasonal downpour. 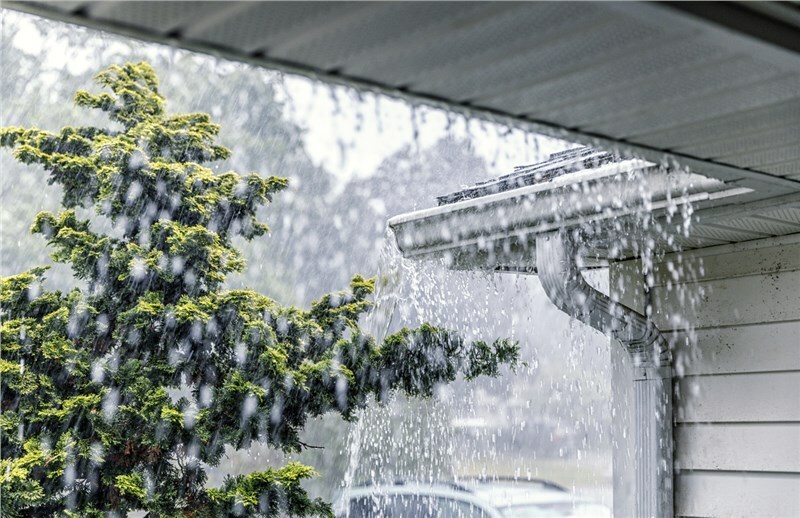 If you find yourself moving in the heavy rain, there are more than a few things you can do to make this experience easier. Here at Solomon & Sons, we know all about moving in the warm Florida rain. Including what it takes to keep your items and property safe from the rain and to move safely when carrying items over rain-slick surfaces. Today, we're here to share these tips. The supplies for moving in the rain can be variable, as people have faced down the common challenge in many different ways. Some have valiantly moved using trash bags alone to protect everything while others got creative with their packing materials. The following list are each helpful used alone or separately. The first step is to check the truck either before you depart or soon after the rain begins. Most moving trucks aren't built to be air-tight so there is a chance of leaks caused by heavy rain. If the truck is not leaking, your belongings will be safe all the way to your destination. From there, you will need to devise ways to get everything inside without getting it soaked. The best possible rainy-day moving option is a covered place to unload. Certain homes have features that allow for a fully or mostly covered walkway between the truck and the front door. Long porches, carports, and garages large enough for the truck are ideal. However, if the home doesn't have a convenient rain cover, you can make some. A pop-up pavilion-style tent can serve as a temporary car-port / rain cover. And even without that, you may be able to build something similar with a tarp and some parachute cord. The next concern is slipping on wet surfaces and protecting your interior floors from soggy shoes. This means that you may need to build a walkaway from the truck to wherever boxes and furniture are being set down. Plywood is the best answer for a muddy walk through the yard holding heavy objects while area rugs are better for protecting indoor floors. However, flattened cardboard boxes function well enough for both purposes. Next is the need to move furniture and boxes indoors without getting them soaked. If you have a truck-to-door covered area, this part is easier. However, if there are even a few feet of uncovered space in heavy rain, you will need to waterproof everything that leaves the truck. The best way to do this is by wrapping it in plastic, but there are several approaches to this problem. Some people make do with garbage bags. Some use the same transport tarp over and over again. Some simply plastic-wrap all the boxes and furniture with the moving blankets on the inside. Because moving blankets are absorbent, this makes perfect sense. You may want to pack up especially sensitive items like electronics and unsealed wood inside sealed plastic bags or crates before risking the weather. If a box does get soaked or you find it's been sitting in a puddle, the best solution is to unpack it quickly. Discard the soaked cardboard and get your items toweled off immediately. The same is true for furniture. If it is dried out quickly after a damp experience, usually everything is fine. Finally, many people who move in the rain find it easiest to do with an 'assembly line' method. In this situation, one group of people pulls boxes down from the truck and brings them to a water-proof area like the covered porch or tiled front hall. Then the second group of people indoors (with clean shoes) will grab boxes and furniture and move them into interior rooms. Moving in the rain is no one's idea of a good time, but here in Florida, rain on moving day is a common challenge. Here at Solomon & Sons, we can help you handle any kind of Florida move, rain or shine. For more moving tips or a consultation on your moving plans, contact us today!